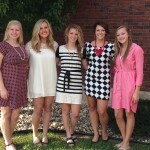 Elections for the 2015 Tulip Court will be held on Wednesday, September 24, 2014. 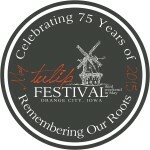 Voting for the 2015 Tulip Court will take place from 3:30 to 8:00 p.m. at the Windmill Information Booth, located on the corner of Central Avenue and Second Street in Orange City. 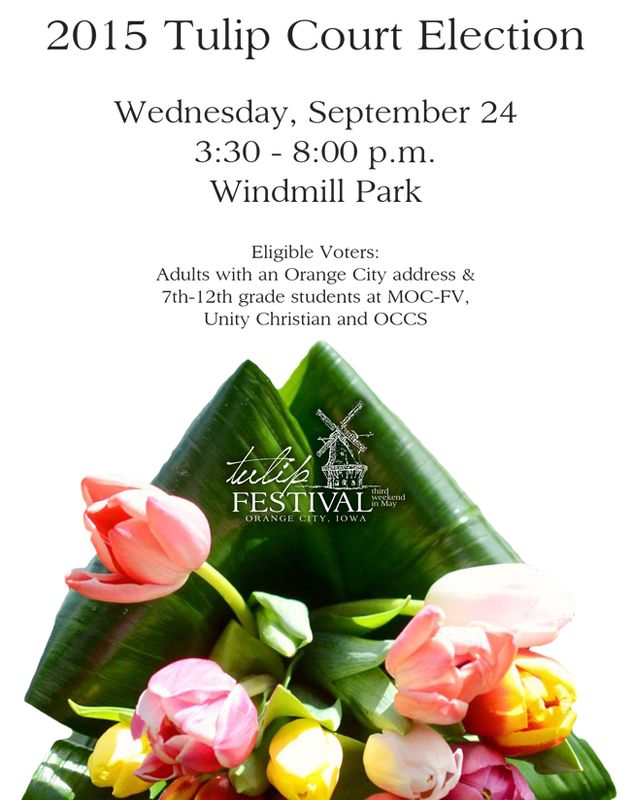 Eligible voters are adults with an Orange City address and 7th through 12th grade students at MOC-Floyd Valley, Unity Christian High School, and Orange City Christian School.  Candidate eligibility and general questions can be directed to the Tulip Festival office by email at tulip@orangecitycomm.net or by phone at 712-707-4510.